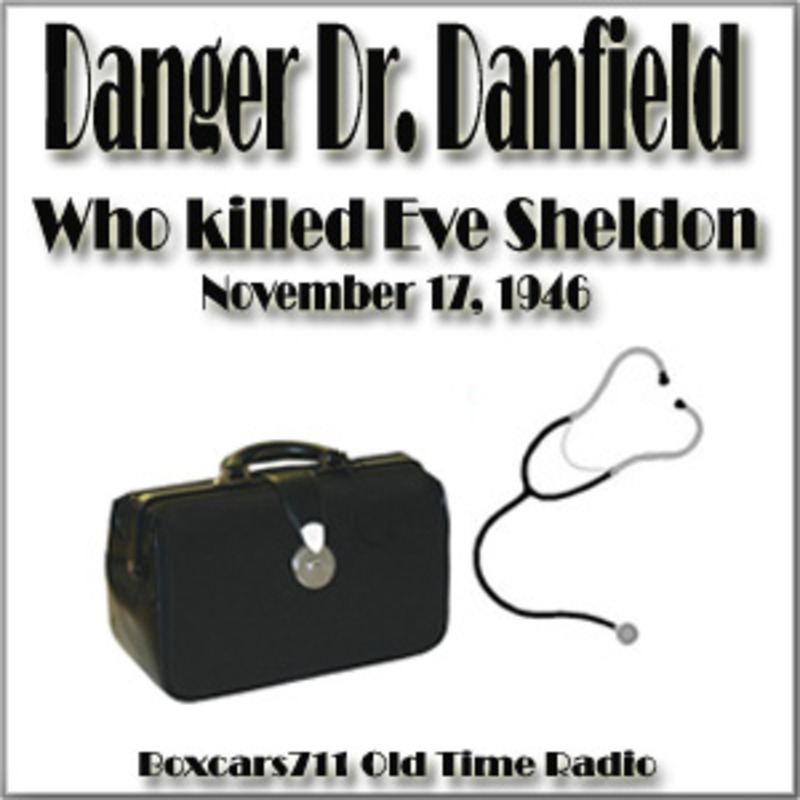 Danger, Dr Danfield was first broadcast on August 18, 1946 and consisted of 26 episodes with the last one being April 13, 1947. All episodes are available. It starred Michael Dunn as Dr. Danfield, with JoAnne Johnson as Rusty Fairfax, his secretary. The series was written by Ralph Wilkinson and produced by Wally Ramsey. The show had a formula with the crime usually being committed in the first third of the program, the good doctor solving it in the second third, and then pedantically explaining the solution to someone (usually his "pretty, young" secretary, Rusty) in the conclusion. Show Notes From The Old Time Radio Researcher's Group. THIS EPISODE: November 17, 1946. Program #14. ABC network origination, Teleways Radio Productions syndication. Commercials added locally. The program is listed as #14 on the label, #16 on the transcription matrix. "Who killed Eve Sheldon?" Her poor husband, or her rich lover? Michael Dunn, Joanne Johnson. 25:18. Episode Notes From The Radio Gold Index.